Tanja von Behrens enjoys working in Sterling Silver and base metals – but also loves experimenting with new materials and techniques; sometimes reinterpreting known, everyday materials to create wearable works. Some of her jewellery designs have a connection to places that are personally important, or to treasured relationships. Born in Canberra, Tanja has lived and worked in Sydney, Alice Springs, Darwin, Adelaide and Hobart. These eclectic experiences have led to creative work that often considers notions of home, identity and place – the lasting impact that the people we meet, the places we live – and the experiences we have there – leave upon us. One of her collections of work focuses on representing beautiful places and iconic mountain ranges in works of wearable art. The Tasmanian collection so far includes Mt Wellington – Hobart, The Hazards – Freycinet National Park; Cradle Mountain, and Mount Roland. It is a body of work that also lends itself to one-off, commissioned pieces. 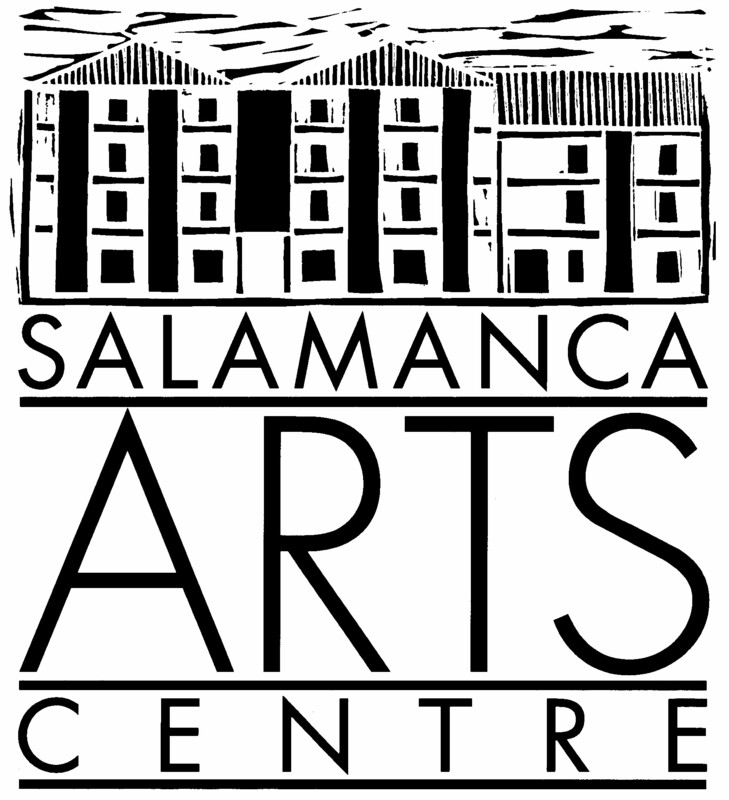 Tanja von Behrens is a member of FIND Contemporary Jewellery Collective at Salamanca Arts Centre. Tanja currently shares Space 119B with the tinfoil collective : Rosie Malham and Ruth Valentine. Previously, Tanja has shared Space 124 with the tinfoil collective : Rosie Malham and Ruth Valentine, and from 2012 – 2017 shared Space 120 with two other emerging jewellery artists – Rengin Guner, Jacqui Renton. All three artists studied together under the same tutelage at the Tasmanian Polytechnic. All photos and pieces by Tanja von Behrens. Tanja von Behrens. 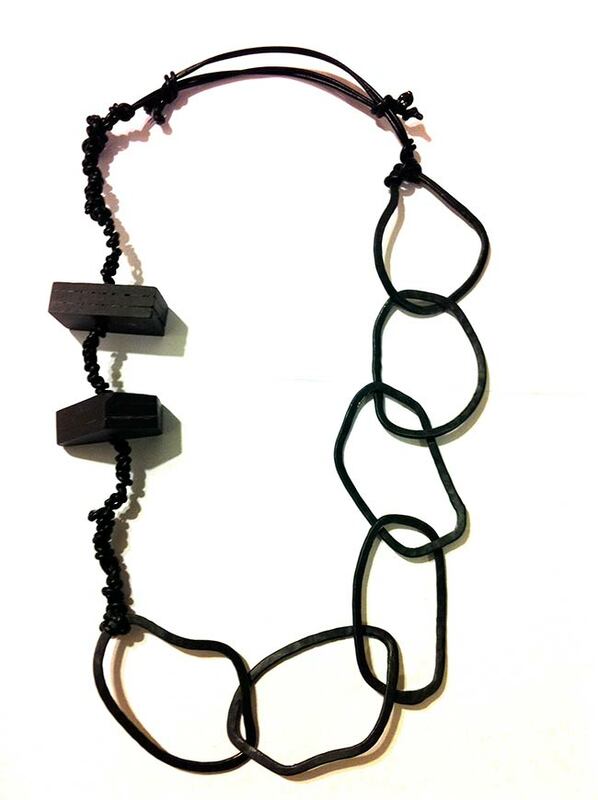 A Test of Patience – Neckpiece (2013). 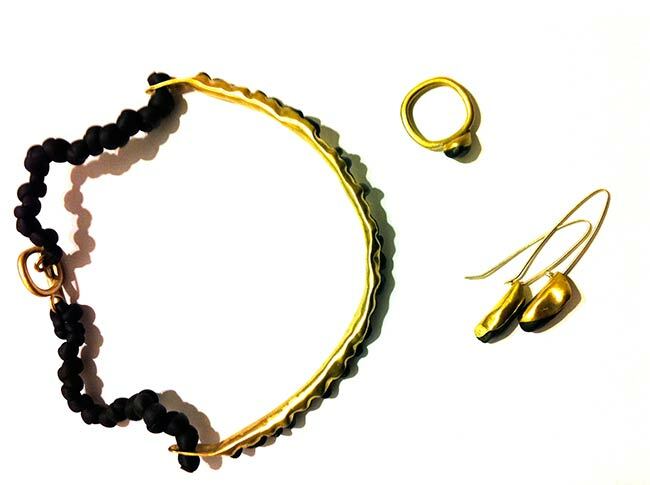 Brass, Tasmanian Black Spinel, Killikrankie Diamonds (Flinders Island Topaz), Smoky Quartz & Neoprene. 120mm x 121mm x 5mm. Tanja von Behrens. A Test of Patience – Neckpiece (details as above). Tanja von Behrens. An Irregular Pair – Earrings (2013). 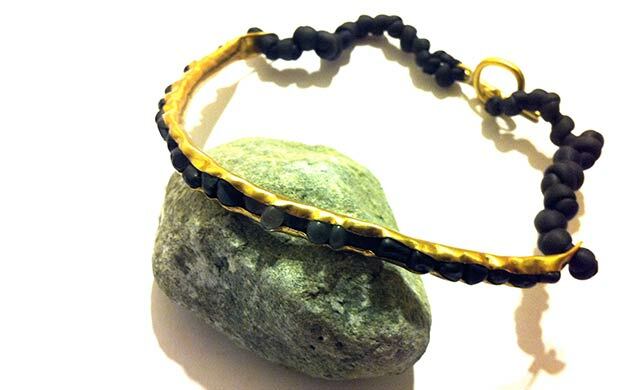 Brass, Tasmanian Black Spinel, Sterling Silver. 50mm x 9mm x 8mm. Tanja von Behrens. Lone Traveller – Ring (2013). Brass, Tasmanian Black Spinel. 28mm x 23mm x 10mm. Tanja von Behrens. 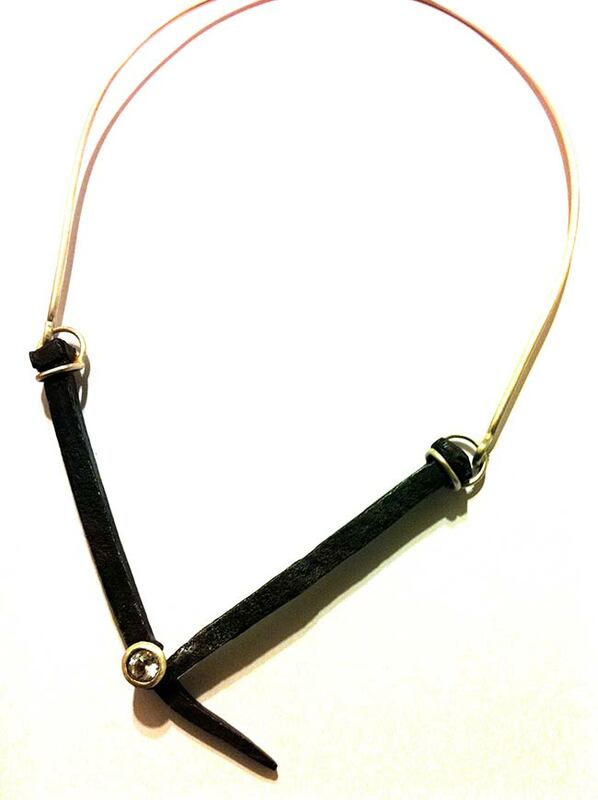 Kranky Steel – Neckpiece (2013). Hand Forged Steel Nails – salvaged during the refurbishment of the Salamanca Arts Centre Roof, Faceted Killikrankie Diamond (Flinders Island Topaz), Sterling Silver. ~120mm x ~180mm x ~5mm.